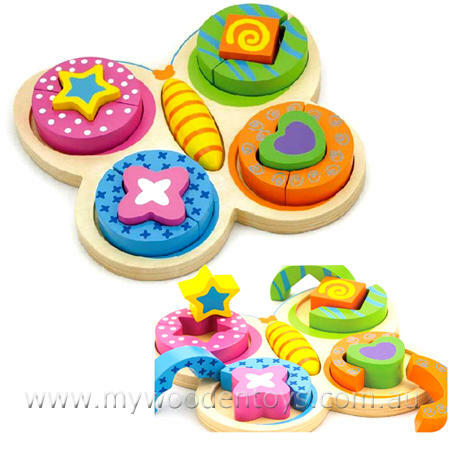 Wooden Butterfly Shape Puzzle is a beautifully colourful wooden toy with 13 chunky pieces. This is a wonderfully tactile puzzle and is a great way to learn shapes and colours. The circular pieces are in 2 halves and by matching colours you can create the correct space for the block to be inserted. it is lovely to watch the butterfly come to life as the pieces all find their correct places. Material: Wood with child- safe paint. We like this because: "Such a beautiful looking puzzle and a lot to master."